With the incidence of autism rising and treatment often remaining elusive, many families are participating with Dr. Shui Yin Lo in his study of Double Helix Water and Autism and have reported very encouraging results. Double Helix Water is showing great promise in research projects worldwide in children with autism. New research into the meridian system by Dr. Shui Yin Lo offers a new hope for early detection, diagnosis and natural treatment of autism. Current natural treatment options for autism include acupuncture, (concentrating on the hot spots along the six yang meridians) as well as herbs that reduce inflammation. In his studies described below, drinking Double Helix Water reduced the inflammation along the yang meridians. Dr. Lo’s studies point to a new potential all-natural treatment option for autism. This study reported on several cases of patients with autism who were treated with water clusters with double helix configuration. The response of these patients was recorded on a ten-point health questionnaire as well as by thermographic analysis taken before and after Stable Water Cluster treatment. In 8 patients, beneficial and rapid effects were induced by the consumption of water with SWCs. 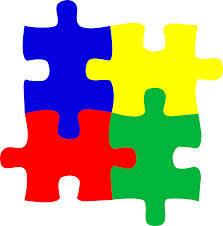 This preliminary study needs to be validated with larger numbers of patients with autism. Such studies are currently ongoing in the U.S., Panama and China. While autism mainly resides in the brain, new research shows that the disorder may be related to gastrointestinal imbalances. Dr. Lo’s study suggests that by using Double Helix Water to remove blockages along the gastrointestinal meridians (the yang meridians that connect the brain to the GI tract), energy in the body can flow more freely, allowing the body to help reduce some of the clinical symptoms of autism. In other words, Dr. Lo’s research suggests that repairing the meridian system may help alleviate autism-related symptoms. During a 12-week pilot study with 11 male children aged 5 to 19 years with autism who drank Double Helix Water daily, consistent quantified reductions in temperature along the yang meridians (as measured with infrared thermography), was demonstrated. The thermography was taken three times — at the beginning of the study, the 6th week and 12th week. The thermograms showed a consistent reduction of heat and suggest a positive healing taking place and lasting over a long time period (12 weeks). Additionally, the parents of these children reported that eight out of 11 children had physiological and behavioral improvements. The study suggests that blockages in the meridian system can be reduced by taking Double Helix Water, which then triggers the body’s self-healing mechanism and enables it to help reduce some of the effects of autism. These findings suggest that Double Helix Water may be an effective, natural treatment for autism. In addition, Dr. Lo suggests that if blockages along these meridians are seen at an early age, doctors may be able to detect the disorder before a child shows any symptoms; early detection is a key factor in treating the disorder. In this study, Dr. Shui Yin Lo reported preliminary results of infrared images (or thermographs) taken of autistic children. They found a clear inflammation of the three yang meridians, which indicated dysfunction of the gastrointestinal system, consistent with some research done in mainstream medicine. These meridians originate from the head, so inflammation there may also be a reflection of brain dysfunction. In Chinese medicine the child is viewed as a whole — so the gastrointestinal, immune and neurological systems should be treated together.